To all things, a cover. Read our introductory Starblog post! This is launch week! 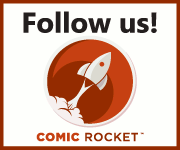 From July 21st to 25th, we’re updating the comic every day. Check back tomorrow to see the adventure begin! Cool cover! The watercolors and layout remind me of a Toriyama kinda feel! Yeah, I can see that! There are some truly great cover designs on the way.